The bench of Chief Justice Rajendra Menon and Justice V Kameswar Rao said that access to healthcare is every citizen’s right under Article 21 of the Constitution — protection of life and personal liberty. 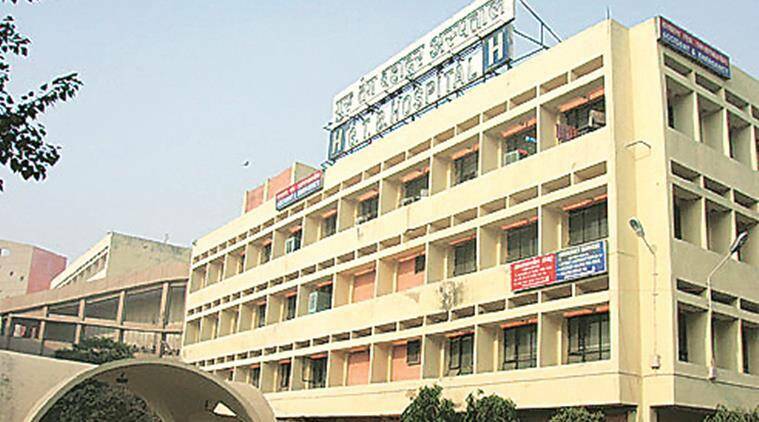 An order was issued by the Medical Director, GTB Hospital, that patients who do not have a valid voter ID card of Delhi — categorised as non-Delhi patients — will be denied certain facilities. Stating that the Delhi government’s move to deny certain medical facilities to non-Delhi residents is creating a “class within a class”, the Delhi High Court Friday said it was “impermissible” and quashed its decision to give preferential treatment to city residents at Guru Teg Bahadur (GTB) Hospital. The bench of Chief Justice Rajendra Menon and Justice V Kameswar Rao said that access to healthcare is every citizen’s right under Article 21 of the Constitution — protection of life and personal liberty. This imposes a duty on the government to take “whatever steps are necessary” to ensure that every citizen has free and fair access to health facilities and treatment in a government hospital, the court said. “It would be seen that the state is shirking away from discharging its constitutional obligation and liability by contending (that) lack of facilities like infrastructure, manpower and law and order situation (is) created by the outburst of population, (and) the number of patients coming to the hospital for treatment… In our considered view, this is not permissible,” the bench said. According to court records, an order was issued by the Medical Director, GTB Hospital, that patients who do not have a valid voter ID card of Delhi — categorised as non-Delhi patients — will be denied certain facilities. The order stated that under a pilot project to decongest the hospital, all services shall be provided to patients having Delhi voter ID cards only. The order added that patients from outside Delhi who come to the OPD would be issued a blue OPD card, and no free medicine would be given to them. They also won’t be provided any facilities related to laboratory and radiology tests, it added. But the order had exempted patients with surgical emergency or distress injuries, and MLC cases. In its submission, the Delhi government had said that the action was “reasonable” and in the interest of the public at large. It said that footfall at the OPD was between 6,000-9,000 persons per day, and that the hospital had just 1,515 beds. It added that it decided to curtail services as the huge influx of patients was putting a strain on its infrastructure and staff, and also leading to manhandling of doctors by patients or their attendants. “There is no discrimination… it is a project to decongest a hospital, make it more efficient, protect the interests of doctors and other staff who are facing hardship because of the number of patients, visits, attendants etc… and a situation pertaining to maintenance of law and order being created,” the government had submitted.